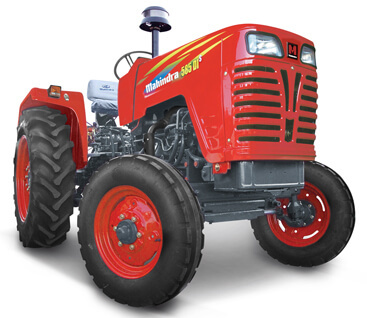 The new Mahindra Bhoomiputra and sarpanch 585 DI Power+ is 50 HP(Horsepower) tractor designed with excellent power to control the most difficult of operation with noteworthy ease. 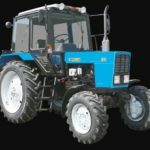 It has been specially designed to manage all kinds of farming and haulage applications. Its transmission is very smooth and reliable. 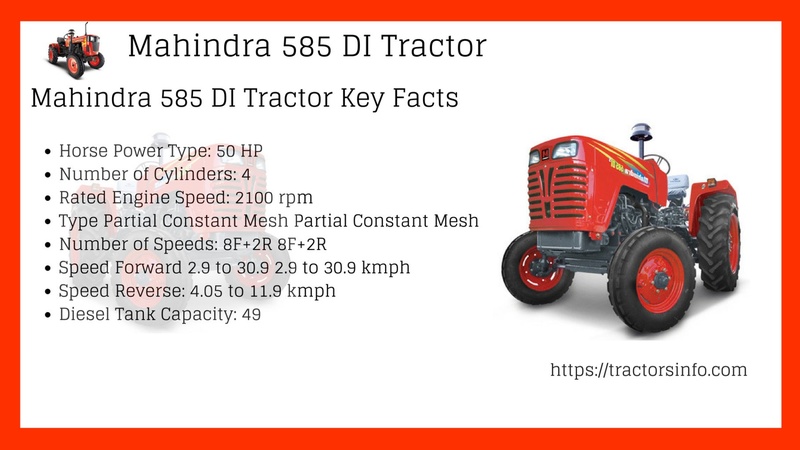 Mahindra 585 DI tractor has multiple gear speeds, suitable to handle a host of agricultural tools like rotavator, potato planter, potato digger, reaper, and leveller. It is available in both Sarpanch & Bhoomiputra to look providing the flexibility to choose as per your demand. 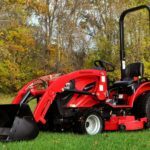 It has multiple gear speeds, suitable to handle a host of agricultural tools like rotavator, potato planter, potato digger, reaper, and leveller. 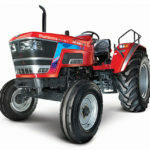 The Mahindra 585 DI bhoomi putra and sarpanch tractor Price is Rs.7.7 Lakh. 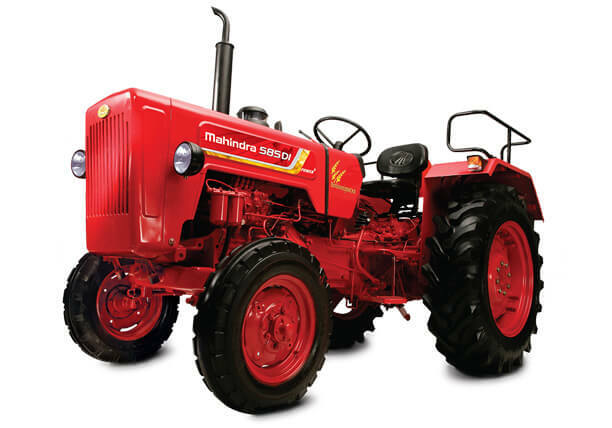 The new Mahindra 585 Di tractor has a powerful 4 cylinder naturally aspirated engine. It is the reliable and durable engine. It produces 50 horsepower and that rated engine speed is 2100 RPM. It has a water cooled cooling system. Mahindra 585 DI Bhoomiputtra has 3 Stage Oil bath type with Pre-Cleaner and Sarpanch has a Cyclonic Pre-Cleaner with an oil bath and paper filter twin combination. That is well suited for the for the farming and loading operation. 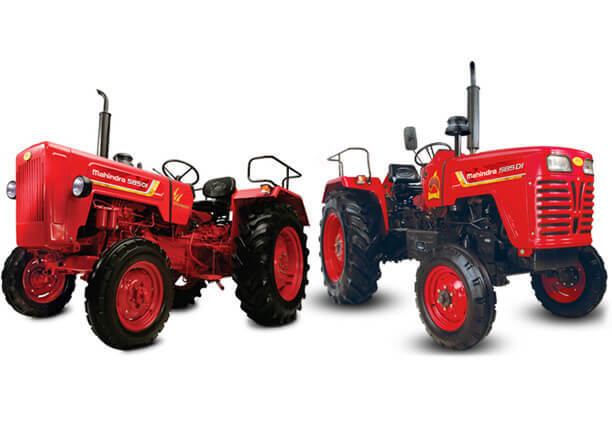 The Mahindra 585 DI Bhoomiputra and sarpanch tractor hydraulics system are powerful and reliable. It has a CAT II inbuilt external check chain type hydraulics system. Its lifting capacity is 1640kg. 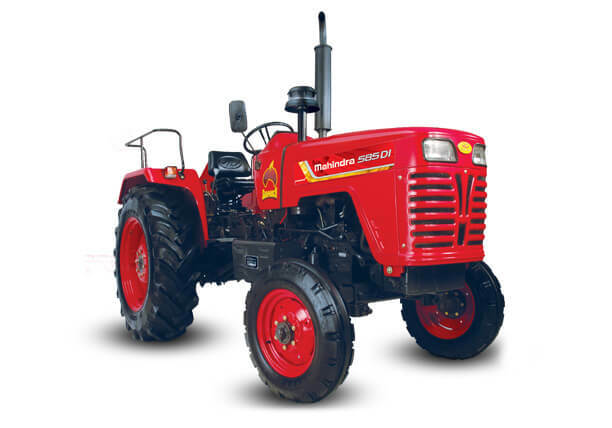 The Mahindra 585 DI Bhoomiputra and sarpanch tractor has a smooth transmission. It has a Partial Constant Mesh/ Full Constant Mesh (Optional) type transmission system. That gearbox system packed with 8 forward and 2 reverse gears. It has a Heavy Duty Diaphragm type clutch and Dry Disk Brakes (standard)/Oil Immersed Brakes. Mechanical Re-Circulating ball and nut type/Hydrostatic Type steering. 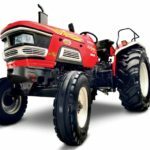 The Mahindra 585 DI Bhoomiputra and sarpanch tractor Dual acting Power steering easy and precise steering suitable for comfortable operations and longer work duration. 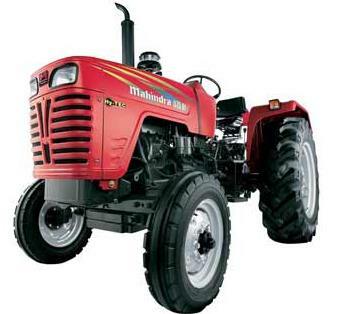 The Mahindra 585 DI Bhoomiputra and sarpanch tractor front tyre size are 6.0 – 16 and rear tyre size is 14.9 – 28. That is strong and durable. That is less slippage on the farm because it provides strong grip and traction. 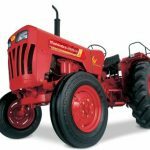 That’s all about Mahindra 585 DI Bhoomiputra and sarpanch tractor. I think it should be enough information for buying this Mahindra tractor. If you have any question about this post then comment please below in the comment box, I solve your problem as soon possible but if you like it please share on social network. 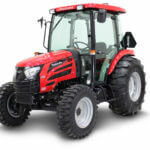 You can also find Mahindra Best Tractors Information and Price list on our site.